Rajasthan is one of the top tourist destination in India. As located at the North-Western part of India, Rajasthan shares a border with the Pakistani provinces of Panjab. It also touches many state borders like Punjab to the North, Haryana and Uttar Pradesh to the North East, Madhya Pradesh to the South East and Gujarat to the South West. First of all which will attracts travelers towards Rajasthan is it’s the vast existence of the ‘Thar Desert”. Besides that many historical events, wars are hidden in many cities of Rajasthan which helps tourists to recognize the history and cultures of our nation from ancient age. 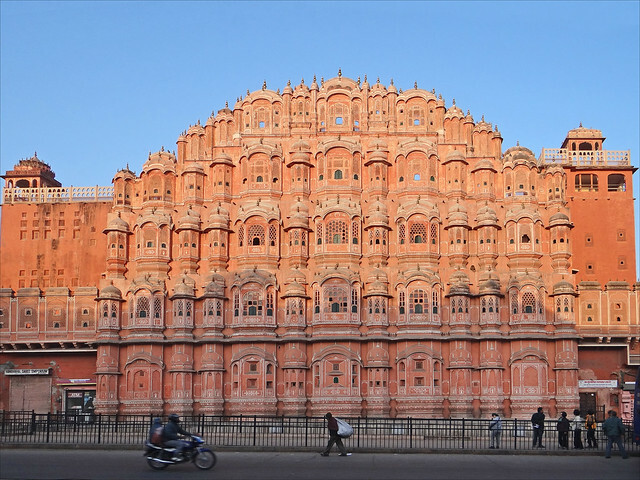 Being the largest city of Rajasthan, Jaipur city was formed in 1727 by Maharaja Jai Singh 2. The city was formed following the vastu shastra. Jaipur is a popular tourist destination and serve as a doorway to visit the other cities such as Udaipur, Jodhpur, Jaisalmer etc. The city was painted pink to welcome the prince of Wales and later Edward 7 in 1876. Houses and avenues were painted pink and that is why the city is widely known as the “Pink city of India”. There are so many beautiful and glorious places situated in every corner of the city. Travelers come from different part of the world to see the famous Hawa Mahal, Jal Mahal, City Palace, Amer Fort, Jantar Mantar, Nahargar Fort, Jaigarh Fort, Galtaji, Govind Dev Ji Temple, Garh Ganesh Temple, Sri Kali Temple, Birla Mandir. Sisodiya rani Bagh and Kanak Vrindavan are famous parks of Jaipur. Jaipur railway junction is well connected with the major cities of India like Delhi, Mumbai, Kolkata, Chennai, Bangalore, Ahmadabad and Hyderabad. Besides, Delhi, Mumbai, Kota are linked with Jaipur through National Highways. Jaipur International airport is situated in Sanganer. Udaipur is situated at the southern region of Rajasthan near the Gujarat border. The city of Udaipur was formed by Maharana Udai Shing of Sisodia in 1553. He shifted the capital from Chittorghar to Udaipur and the city remained as the capital till 1818. Udaipur is a famous tourist destination for its rich history, cultural heritage and scenic beauty. Udaipur has lake Pichola on the southern slope of Araballi Range. The southern part is covered with hills, rocks and vast dense forest. Udaipur with its magnificent landscape, scenic beauty, Historical palaces attracts both domestic and foreign travelers. There are many places to visit Udaipur like City Palace Udaipur, Lake Palace, Jag Mndir, Kesariyaji Temple, Monsoon Palace, Jagdish Temple, Fateh Sagar Lake, Sukhadia Circle, Sukhadia Temple, Saheliyon ki bari, Lake Pichola, Moti Magri, Neemach Mata Temple etc. Udaipur city railway station and Rana Pratap Nagar railway station connect Udaipur with the major cities of India and most of the cities of Rajasthan as well. Udaipur is connected through flights from Maharana Pratap Airport with major cities of India like Delhi, Kolkata, Mumbai, Ratlam, Khajuraho, Kota ,Ajmer etc. Rajasthan State Road Tranport Corporation and many private bus companies provide bus services within Rajasthan and to other states. Jaisalmer, located at the heart of the Thar desert is famous for its yellowish sandstone. Houses and forts in Jaisalmer are made of theses stones. So Jaisalmer is widely known as “The Golden City of India”. Jaisalmer is named after Maharawal Jaiswal Sing who founded the city in 1156. It is the largest district of Rajasthan. Jaisalmer is one of the preferred destination for tourists. The Jaisalmer fort was made by the Jaiswal rulars in 1156. There are seven Jain temples and number of museums to see in Jaisalmer like desert culture center and museum, Government museum, Jaisalmer fort palace museum, Cactus park museum etc. Ramdevra village, Gadsisar lake are other famous tourists spots of Jaisalmer. 117 Railway stations are directly connected with Jaisalmer station. there are daily trains between Jaisalmer and Jaipur. Bus services of Rajasthan State transport corporation Jaisalmer is connected with the other part of Rajasthan. Besides, other private Bus services are also available. The Jaisalmer airport is currently inactive. Jodhpur is the second largest city of Rajasthan. This city was founded by Rao Jodha in 1459. Jodhpur is known as the “Sun city”. The city enjoys bright sun light almost all over the year even in the winter. This city is also known as the “Blue city” as the houses of the city are painted in blue. Blue is the colour of calm and sun is bright and harsh on this city; so houses need to be calm and cool. Therefore people paint their houses blue to stay calm an cool. Jodhpur is another favorite destination for travelers. 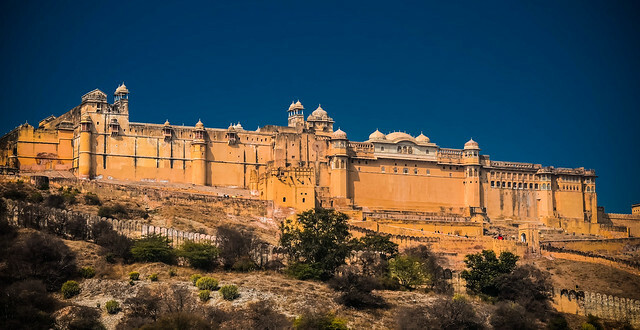 Jodhpur’s main tourists attractions are Mehranghar fort, The Jaswant Thada mausoleum, Umaid bhavan Palace, Ghanta Ghar, Arna Jharna Desert Museum, Kaylana Lake, Sojti Gate Market etc. Besides, number of gardens and temples are there to visit in Jodhpur. Many mountains also are there for hiking. Jodhpur is well connected by railways with the major cities of India like Delhi, Mumbai, Kolkata, Bangalore, Chennai, Kota, Pune etc. Jodhpur is connected by national highways with cities in Rajasthan and neighborhood states. Jodhpur air port is a prominent airport of Rajasthan and is also considered as a significant airbase for Indian Air force. Sawai Madhopur is surrounded by the hills.The city was created by Maharaja Sawai Madho Singh 1 in 1763. it is a UNESO world heritage site and famous tourist destination for Ranthambor Fort and guavas, widely known as “Madhopur guavas”. Sawai Madhopur festival is celebrated here on 19th January, foundation day of the city. Ganesh Chaturthi mela is the largest festival here. Main tourist attractions of Sawai Madhopur are Ranthambor National park, Ranthambor fort, Rajiv Ghandhi regional museum of national history. Ranthambor National park is a small park but was declared as a tiger reserve forest in 1973. Sawai Madhopur railway junction is located at the Delhi Mumbai trunk road. Many cities are connected with Sawai Madhopur through Railways. Luxary trains like Rajasthan royals on wheels, Maharaja express have stops at Sawai Madhopur. Sawai madhopur is well connected through neighboring district through national highways. City buses, tempos and autos are abundant in Sawai Madhopur. Sawai madhopur has a small air strip but it is only used for political campaigns and meetings. In ancient city of Bundi was inhabited by the tribal community. 35 km away from Kota, Bundi is surrounded by the Aravalli hills at the three sides of the city. There are many places which attract both foreign and domestic tourists to visit Bundi. Glorious forts, temples, havelis are there which can be visited here. People feel the tour’s worth by seeing the magnificent charms of its beautiful landscape. There are number of places to visit like Taraghar fort, Bijolia, Braj Bhushan ki haveli, Chaurasia Khambon ki chhatri, Dabhai kund, Jait sagar lake, Jalawar, Nawal sagar lake, Raniji ki baori and Ratan daulat. There are 50 step walls in Bundi which were used for source of water until pipe water lines were introduced. Kota railway station is the nearest station from Bundi. Many trains are available from Kota which is connected with other major cities of India. There are top bus services are available in Bundi to Delhi, Jaipur, Jodhpur, Indore and Ajmer. The Sanganer airport of Jaipur is the nearest airport from Bundi. This air port is well connected with the other main cities of India. Located at the heart of the Rajasthan, Ajmer is one of the favourite tourist destinations in India. Ajmer is surrounded by the Aravalli range. In the north side of the city an artificial lake called Anasagar is situated . Ajmer is protected from Thar desert by Nagpahar range. There are many places to visit in Ajmer like the famous Sabitri temple, Nareri Jain temple, Ana sagar lake, Ranhji temple, Nasiyan Jain temple, Dargah sharif, Akbar’s palace and temple, Daulat bagh garden and Birlacity water park. Ajmer is well connected through rail with the different parts of India. Ajmer railway junction is situated on broad gauge Jaipur-Ahmedabad line. The city is on golden quadrilateral National highway 8 between Delhi and Mumbai. Kishangarh Airport was inaugurated in 2013 near Ajmer with daily flights to the major cities of India. Bikaner is situated in North west side of Rajasthan and was founded by Rao Bika in 1486. The city has a rich cultural heritage and known for producing great Rajput warriors. Beautiful palaces, great sculptured temples made by red and yellow stones made Bikaner more attractive to the tourists. These are the finest creations of Rajput creations. Junagarh fort, Lalgarh palace, Gajner palace, Prachina museum, Devi kund sagar, Sri Laxminath temple, Bhandeshwar Jain temple, Bikaner havelis, Shiv bari mandir and camel breeding farms are the main attractions of Bikaner. If you want to enjoy the essence of the desert camel safari visit Bikaner to fulfill your touristic desire. Bikaner railway station is directly connected with some of the major cities of India like Kolkata, Delhi, Mumbai, Alwar, Bhubaneshwar, Sambalpur, Bilashpur Agra, Jaipur, Kota, Surat etc. Bikaner is well connected by road with national highways. Chitorgarh, situated on the banks of the Berach river, was the former capital of Sisodiya dynasty of Mewar. The land is famous for Rani Padmabati who committed Jauhar Brat for first time and later by Rani Karnabati. It is also the land of legendary Meera bai. Chittorgarh fort is the largest fort in India and Asia. Chittorgarh fort is the main attraction of Chittor. Beside that many other places are there to visit in Chittor like Tower of victory, Tower of fame, Kalika mata temple, Gaumokh reservoir, Rana kumbh palace, Padmini palace, Meera temple, Fateh prakash palace, Jain temple and seven gates of the fort. Chittorgarh junction is a busy junction of western railway, well linked with many other major cities of India. Chittorgarh is also well connected with roads. the golden quadrilateral and north-south-east-west express ways pass through Chittorgarh. The nearest airport of Chittorgarh is Udaypur’s Dabok airport, 70 KM away from Chittorgarh. Bharatpur was founded by Suraj mal in 1733 and situated on the golden tourism triangle of Delhi-Jaipur-Agra. Number of domestic and foreign tourists visit Baharatpur every year. Suraj mal founded many forts across his kingdom. Lohagarh fort was constructed by him in 18th century. Another attraction of Bharatpur is Deeg palace. Besides, Keolando national park, Government museum of Bharatpur, Rope castle adventure park, Keolando shiva temple, Bankebihari temple, Lohagarh fort, Laxman temple, Ganga maharani temple are the most visited places of Bharatpur. Bharatpur junction is situated on the Delhi-Mumbai railway lines and Jaipur- Bandikui-Agra fort line. Number of trains pass through Bharatpur junction on daily basis. Bharatpur is easily accessible by roads. The nearest airports from Bharatpur are Indira Gandhi International Airport of New Delhi, Agra Airport and Jaipur Airport.